This blog is for libertarians who are mainly of the voluntaryist, laissez-faire, and anarchistic and agorist variety and who want to sound off on their thoughts on issues of the day as well as politics, current events, and other liberty-oriented projects of interest. This blog is pro-liberty, anti-state, anti-war, and pro-free market. Opposing and Delegitimizing the State since 2007. 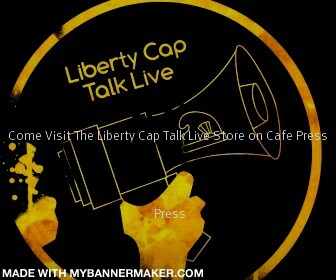 Liberty Cap Talk Live On Demand on Talk Shoe! And our own sweet Liberty! "But she does not go abroad, in search of monsters to destroy." - Sec. of State John Quincy Adams in reference to America to the Congress, July 4, 1821. "War is the health of the state." - Randolph Bourne, a progressive writer whose quote happens to be the title of his unfinished essay which he never completed at the time of his death in 1918. Do you have any news tips that you have for me and my bloggers to discuss on LLR? Do you know of any other political blogs that I and my bloggers can analyze, dissect, and criticize? Do you know of libertarian articles and op-eds that can be publicized on the site? If anyone has such news tips that I haven't discovered, whether it's political, financial, legal, or cultural for me and my bloggers to post on LLR, please email it to me and my bloggers here at LLR. My email is ToddAndrewBarnett@gmail.com. If you do, my bloggers and I will credit you with a hat tip for it. Thank you so much for your support. It's greatly appreciated. "A society that embraces the conventional wisdom saying that government is the be-all and end-all to every problem in the world is a society that embraces tyranny, violence, theft, and the initiation of force against our neighbors." -- on the American people's support of the state. "A society operating under the paradigm of a true unrestricted free market and without a state is the society that best achieves liberty." -- on what human liberty should mean to American society and the entire world. Let Liberty Ring by Todd Andrew Barnett is licensed under a Creative Commons Attribution 3.0 United States License. Permissions beyond the scope of this license may be available at http://letlibertyring.blogspot.com.